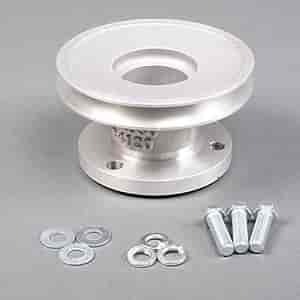 64120 - Moroso V-Belt Racing Pulleys is rated 4.0 out of 5 by 1. Rated 4 out of 5 by Incorrect from Nice pulley Needs to come with the center bolt for the crankshaft. The stock one will not work to short the washer is too big for the price of this pulley you would think it come with it. This would bolt to the harmonic balancer in most applications.